Have you got Google Earth on your computer? If so, then download the Google Earth Map of KFC Glengormley. Is this the wrong position for KFC Glengormley? If you think so, then modify its position. I think the customer service here is first class, they are very quick and do everything they are meant to. The manager chris is amazing at his job! Very please with this store and hopefully they keep it up. Ordered zinger meal and a few other things for takeout. When i got home coke was flat no hotwings and no gravy. 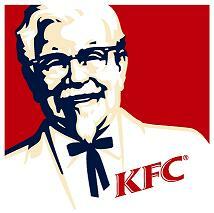 Do kfc just employ muppets? Think i will not use this one again, PS Has happened in other branches. Do they not want to give you the gravy or what. avoid like the plague ( you'll prob get it here ) this dump should be shut down and demolished, staff cant speak english right ( i don't mind but they seem to not even try) the food is terrible and I got sick after the last time. The place is like a boxing ring at night with local drunks ( game as a badger eating there ) please avoid at all cosy, better off having a pot noodle if no other place is open!